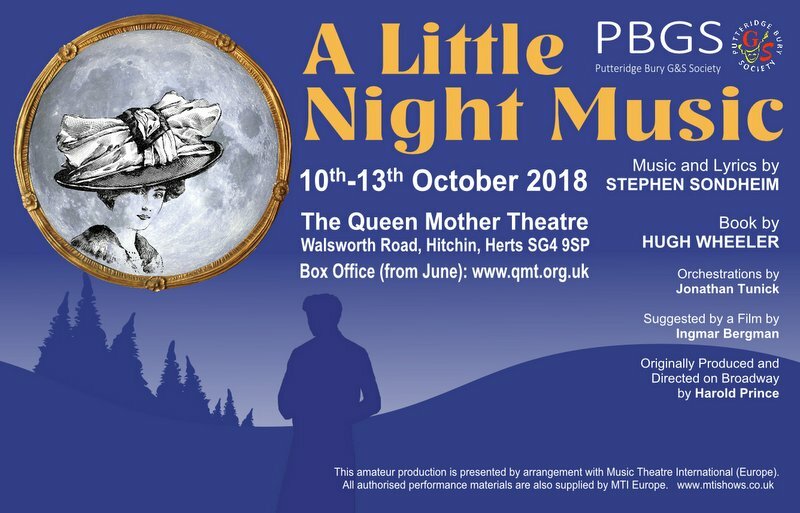 We are very exited to present our next show, Stephen Sondheim’s A Little Night Music. 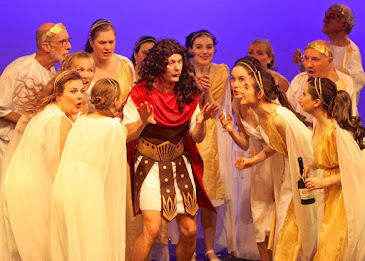 This will be PBGS's third production of a Sondheim musical, in 2014 we did Into the Woods and last year we presented his Roman comedy, A Funny Thing Happened on the Way to the Forum. Our launch night for the show will be on Tuesday, 10th April 2018 at 7.45pm at Streatley Village Hall. See our Contact Us page for directions. Auditions are Tuesday 1st May at 7.45pm at Streatley Village Hall. 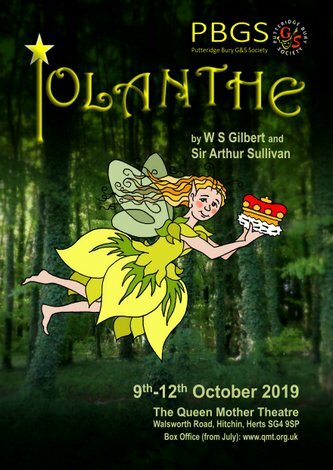 Performances will be from 10th to 13th October 2018 at The Queen Mother Theatre, Hitchin. Our production team are Bryony Reynolds (Director), Richard Fraser (Assistant Director) and Derek Blyth (Musical Director). They are looking forward to presenting their vision of the show to you at our launch. You will find information about the different characters here. And you will find most of the information you need about the show, audition pieces and the audition application form at this Dropbox Link (audition music has its own folder which you will see if you follow the link and there is now an additional Lib Audition piece for Madam Armfeldt which you will find here). Music and Lib are for reference only, please learn your pieces from the scores and books when you receive them. Libretti and vocal scores are expensive to replace so there will be a refundable deposit of £10 for each book taken from rehearsals. Payment will need to be made on the launch night. PBGS holds open auditions and welcomes new members. We are particularly looking for men to join us in this production. Please contact paulafras@aol.com if you want more information or would like to come along to the launch. Set in 1900 Sweden, A Little Night Music explores the tangled web of affairs centred around actress, Desirée Armfeldt, and the men who love her: a lawyer by the name of Fredrik Egerman and the Count Carl-Magnus Malcom. When the traveling actress performs in Fredrik's town, the estranged lovers' passion rekindles. This strikes a flurry of jealousy and suspicion between Desirée; Fredrik; Fredrick's wife, Anne; Desirée's current lover, the Count; and the Count's wife, Charlotte. Both men – as well as their jealous wives – agree to join Desirée and her family for a weekend in the country at Desirée's mother's estate. With everyone in one place, infinite possibilities of new romances and second chances bring endless surprises. A Little Night Music is full of hilariously witty and heartbreakingly moving moments of adoration, regret and desire and contains Sondheim's popular song, the haunting "Send in the Clowns."